High temperature affects the colours of ripening chillies; causes the flowers to drop, ovule abortion, poor fruit set, and fruit drop. 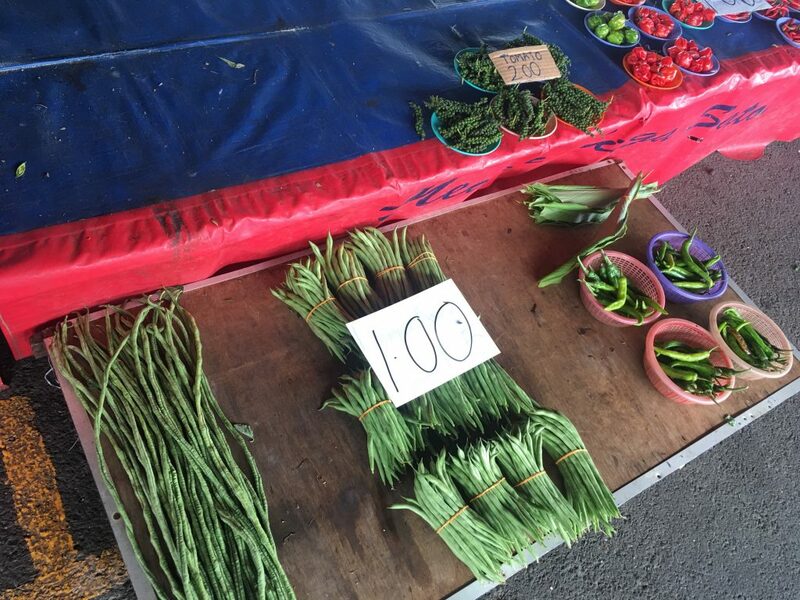 KUCHING: The current hot and dry weather has adversely affected both the quality and quantity of vegetables and has contributed to the rise in their prices, sellers claimed. The State Meteorological Department forecast little or no rain at all as the El Nino effect is expected to last until this coming May. In a prolonged dry season, heat wave occurs when temperature reaches over 37 degrees Celsius over three consecutive days, according to the Malaysian Meteorological (MET) Department. During the season vegetable prices either get stabilised or increase slightly, and some greengrocers have complained about the degradation of their produce, particularly the textures and colours. 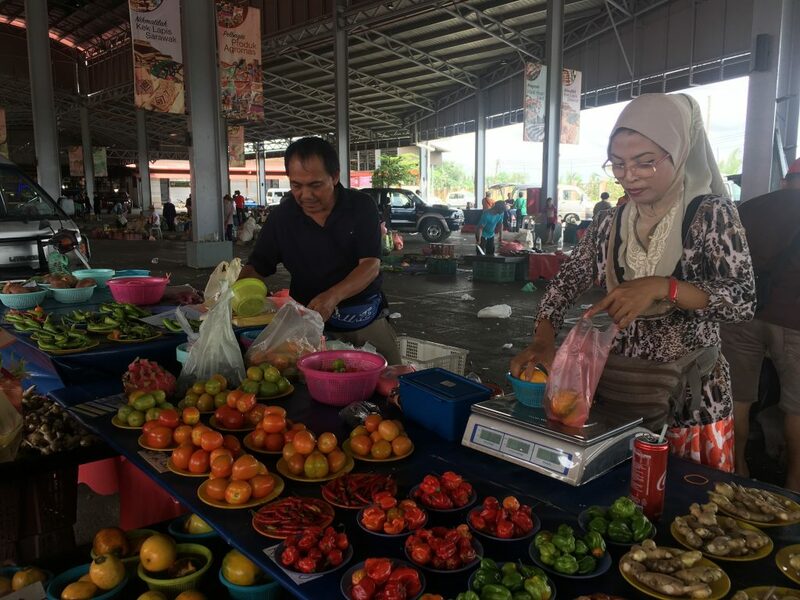 A check by New Sarawak Tribune at Kubah Weekend Market here found that of all the vegetables, chillies, tomatoes and terung asam (sour brinjal or solanum ferox) have declined in quality in the scorching heat. This has agitated the farmers. Nurkiyah and her husband Zamri from Bau. Vegetable seller Nurkiyah Aminuddin said the produce becomes dry and wilt more quickly than at other times. 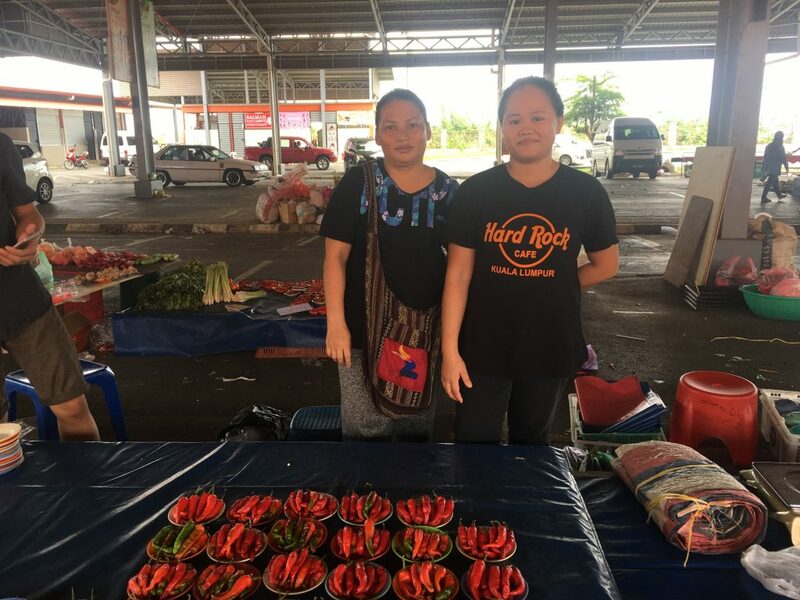 “These chillies, for example, are starting to dry out although we just bought them from the wholesaler yesterday morning,” she said. Nurkiyah weighs vegetables for a customer while Zamri does the packing. 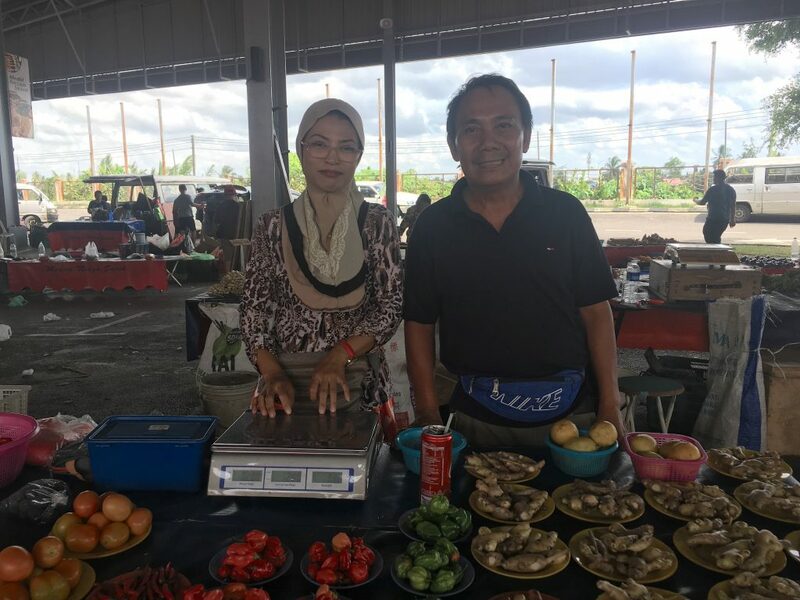 Nurkiyah and her husband, Zamri Abdullah, who are from Bau, are also worried about the accelerated ripening of the fruit vegetables, causing their prices to plummet. “The high temperature has caused the chillies and tomatoes to ripen too quickly, become flaccid and then either rot or become dry,” she explained while holding up some red chillies and tomatoes. Fellow sellers, Muri Nyandang, 41, and Adelyn Pual, 27, who are also from Bau, were rather baffled by the current dry spell. “I have been a vegetable seller for many years and I have noticed that usually during the hot season, the prices of vegetables always fluctuate,” said Muri who had just recovered from a fever. 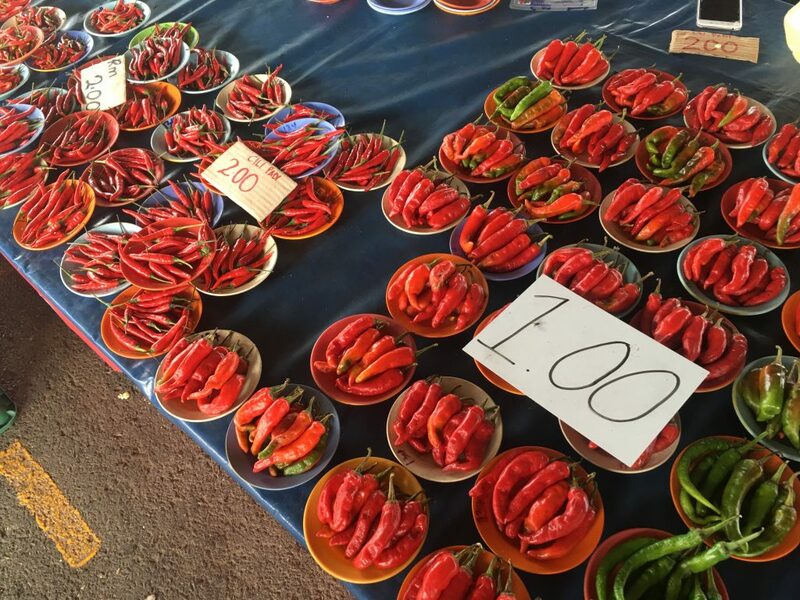 As for Adelyn, she has noticed that a hot spell tends to make it harder for vegetable farmers to grow their crops, which either stabilises prices or causes them to increase due to lower supply. Long beans are among the most sought-after vegetables in the market. “It is common for the prices of vegetables to rise during the hot season. Vegetables either fail to grow in the heat or they get severely damaged. “For example, the seeds can just dry up or the seedlings just fail to grow due to limited ground moisture. “When the plants die in large quantity, the result is a shortage, yet the demand will always remain high,” Adelyn explained. Hot spell affects quality, quantity of vegetables 0 out of 5 based on 0 ratings. 0 user reviews.